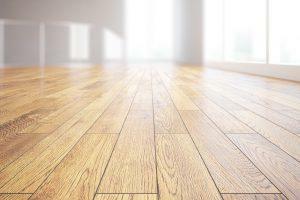 Chemicals in Flooring | What flooring is best for my home? Materials used in construction, remodelling and decorating are major contributors of indoor pollutants that can greatly affect the air quality in your home1. The use of chemicals in furnishings and fittings can make the home a potentially unsafe environment. Flooring covers a substantial proportion of the home and so any emissions from installed flooring can contribute significantly to the indoor environment. Flooring is available in a variety of materials including carpet, linoleum, vinyl, tile, wood and laminate. The type of flooring you select can have a positive and negative effect on the indoor environment and prior to selecting a flooring for your home, the impact on your homes’ indoor environment should be considered. Positive effects include trapping dust and dirt, as well as having easy-to-clean surfaces. Negative effects are predominantly based on the chemicals used in the manufacture of the flooring, or of the adhesive used to secure the flooring. The table below lists chemicals that can be found in some flooring products, and their function. Chemicals in these categories can have a negative health impact on the indoor environment and individuals living in the home. Phthalates are plasticisers, they are used to make rigid plastic more pliable and flexible. There are several types of phthalates, two of the most commonly used are diethylhexyl phthalate (DEHP) and di-isononyl phthalate (DINP). While it is argued that the actual exposure levels to phthalates do not result in high risk for adverse effects, phthalates are potential carcinogens and endocrine disruptors2. Following decades of use they are also almost ubiquitous in the environment and resistant to biodegradation. They have been banned from children’s toys for almost 15 years9, however not from other common household products. Phthalates do not bind directly to PVC material and so over time are lost from the flooring to the surrounding environment10. VOCs are chemicals that are emitted from liquid and solid materials, and in particular are associated with petrochemicals. VOCs can cause “Eye, nose, and throat irritation; headaches, loss of coordination, nausea; damage to liver, kidney, and central nervous system”11. While these side effects are not restricted to those suffering from asthma, throat and lung irritation can cause a substantially greater problem for those suffering from asthma as it can prompt an asthma attack12. Formaldehyde is a volatile organic compound (VOC), meaning that it can be released into the atmosphere. In larger quantities, formaldehyde can cause respiratory problems and skin irritation; it may cause exacerbation of asthma or cause allergic contact dermatitis4. For these reasons there are specific limits to the amount of formaldehyde allowed in consumer products. Limit levels are normally set for ‘free formaldehyde’ (the amount present in the product) and ‘released formaldehyde’ (the amount that may be given off or released by the product). The effects of formaldehyde include irritation of the eyes, nose and the upper respiratory tract. Furthermore, some studies have indicated an association between low formaldehyde exposure and asthma or sensitisation to certain allergens1. Biocides and Fungicides may be added to flooring to prevent the growth of bacteria and fungi. These may include silver, ammonium bromide and mercaptobenzothiazole13. Biocidal chemicals used in flooring can be sensitizing and can also cause contact dermatitis and respiratory irritation5,6. In the case of non-carpet flooring, physical removal is often as effective at bacterial removal as the inclusion of a biocide. Before you purchase flooring with a biocide, you should consider whether you really need it or not. Organo-tin compounds can be used as heat stabilizers for PVC – PVC may degrade or discolour at higher temperatures and the addition of an organotin can prevent this. Organotins however have been shown to be toxic to immune system, have reproductive toxicity, and to be damaging to the aquatic environment7,8. What flooring should you choose? All of these chemicals can pose a potential risk to your home and even the choice or flooring type can have a major impact depending on an individual’s sensitivity to certain compound ands and material. When your selecting flooring for your home, what are options that are available, what kind of impact can they have on your home and what should you be looking out for? When selecting flooring for your home the main decision may often come down to carpet vs non-carpet. However the decision is not always that simple. Carpet has many benefits such as noise and heat insulation. Carpeting is comfortable and aesthetically pleasing. Many people may prefer carpeting in their homes, however it has been recommended for some time for those with asthma and allergies to avoid carpets due to their potential to harbour dust mites14. If selecting wall-to-wall carpeting for part of your home it is essential to have a regular vacuuming and cleaning schedule to maintain good indoor air quality14. Where a consumer is advised or prefers non-carpeted flooring, there is a wide range of choices. As discussed above, a range of chemicals can be used in flooring and so you should carefully research your flooring choice. 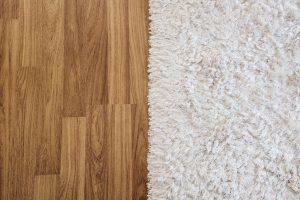 Non-carpet flooring options are often cheaper, easier to keep clean and easier to maintain. Laminate or linoleum type flooring does not retain dust and regular sweeping and cleaning is required to, prevent aerosolization of dust and particles as people walk on the flooring14. There are many options for natural or synthetic materials in both carpet and non-carpet flooring. Natural carpeting materials include wool and seagrass. These can often be prohibitively expensive. Synthetic carpets are a more budget friendly option but may also contain petrochemical based compounds and can emit chemicals such as styrene and phenylcyclohexane15. For non-carpet flooring natural material such as solid wood floors, tiles or recycled wood can also all make good choices that are less chemically treated. In the case of recycled wood you should ensure that there has been no use of formaldehyde or urea in its manufacturing process. Click fit or nail-down installation should be considered instead of adhesive. If an adhesive must be used, select a low-VOC type. Natural linoleum is made from all-natural materials and does not use the same types of petrochemical based compounds as synthetic linoleum. During installation you should select a low VOC adhesive. Natural flooring materials can be very expensive and budget can also play a role in selecting flooring. While cheaper products are more likely to be based on petrochemical ingredients, some may be absolutely fine to use, but which ones? How do you identify healthier flooring products? The choice between natural vs synthetic and carpet vs non-carpet is important and should be driven by knowledge of your own (and your family’s) personal sensitivities. It is essential to consider which type is most appropriate, particularly if you have someone suffering from asthma and allergies in your home. With the increasing selection of flooring available on the market it can be difficult to identify companies and products that you can trust to assess and monitor their chemical content and the effect the product may have on your indoor air quality. In 2016, consumers in the US were left with serious health concerns when an American Company, Lumber Liquidators, sold Chinese made flooring that had high levels of formaldehyde17. Potentially 614,000 homes were affected by this and the US Consumer Product Safety Commission directed Lumber Liquidators to test all homes involved. The company agreed to replace all flooring found to have unsafe levels of formaldehyde, and to pay for any testing required. The products were sold over a four year period, between 2012 and 201616, if the company had been part of a robust certification program, it is possible that this chemical content would have been identified at an annual audit stage. Certification marks can play a vital role, giving producers an extra line of quality control, as well as directing consumers to products based on their impact on the indoor environment. Below are some examples of certification marks that have been developed to inform consumers on various aspects of production, chemical profiling or performance of flooring. The Green Seal Certification for cleaning products also assesses products on the basis of environmental impact. It includes testing for performance, health and environmental requirements such as toxicity and biodegradability. In terms of health aspects, there are a range of chemicals that are banned, such as carcinogens, mutagens and undiluted ingredients that cause skin sensitization18. Greenguard certification is primarily focussed on promoting healthier indoor environments and was first established to assist EPA purchasing decisions. The Greenguard certification for flooring tests for chemical emissions, at a static timepoint as well as over time20. This standard is primarily focussed on air quality and does not measure performance characteristics. Forest Stewardship Council is an independent organization that protects forests for future generations and focuses on environmental, economic and social aspects. FSC certification ensures that products come from responsibly managed forests through Forest Management Chain of Custody processes21. California Air Resources Board is the clean air agency in the State of California. CARB is charged with protecting the public from the harmful effects of air pollution. CARB certification of flooring mainly relates to formaldehyde levels in composite wood products22. 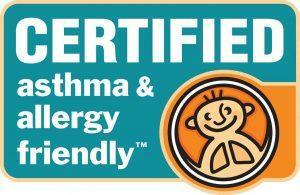 The asthma & allergy friendly®Certification Program is operated by Allergy Standards Ltd in collaboration with the Asthma and Allergy Foundation of America (AAFA), Asthma Society of Canada (ASC) and is also operated internationally through a global certification mark. Cleaning product certification is based on the impact on the indoor environment for those suffering from asthma and allergies, impact on health and measurement of appropriate quality characteristics. This program focuses more on health and efficacy as opposed to environmental characteristics20. Whether carpet or non-carpet, select the most appropriate for your circumstances. Synthetic carpets should be avoided if you have a sensitivity to chemicals that are commonly found in these products. If you do select carpet, ensure that it can be cleaned regularly and effectively to remove any bound dust or dust mites. Dust particles may build up on non-carpeted flooring and become aerosolised if not cleaned regularly. You should always review appropriate certification marks and determine how they fit with your personal needs. If you are aware of your allergy or sensitivity triggers it will help to provide you with the information required to make an informed decision on products that are more suitable for you. As always, make sure that you understand what the product certification is based on, and that environmentally friendly does not always mean human friendly! Thanks to Dr. Tim Yeomans for this insightful article. Dr. Tim Yeomans is the Centre Manager for Shannon Applied Biotechnology Centre, a collaboration between two third level colleges in Ireland. Tim holds a PhD in Microbiology and postgraduate qualifications in Technology Commercialisation and Innovation Management. Tim has worked in research and development for 20 years, both in industry and academia. 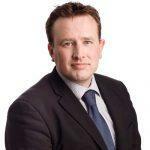 In his role in Shannon ABC, Tim is responsible for the scientific direction of the Centre, intellectual property management and business and technology development. McGwin, G, Lienert, J, & Kennedy, J I. (2010) Formaldehyde Exposure and Asthma in Children: A Systematic Review. Environmental Health Perspectives, 118(3): 313–317. Fent, K. (1996) Ecotoxicology of Organotin Compounds. Crit Rev Tox 26(1): 3-117. Carlstedt, A, Jonsson, BA and Bornehag, CG. (2013) PVC flooring is related to human uptake of phthalates in infants. Indoor Air 23(1): 32-39. Rumchev,K, Spickett, J, Bulsara, M, Phillips, M and Stick, S. Association of domestic exposure to volatile organic compounds with asthma in young children. Thorax 2004;59:746–751. Karr, M. (2016). Is Housing Making People Sick? : An Overview of Seven Studies That Raise Questions to Consider as we Incorporate Health Into Planning and Build New Housing to Address Shortages and Energy Efficiency. Metroscape, p. 6-12. What Chemicals are in Paint?